The Great Balance (TGB) was founded in 2010 when Janis Roze, Amanda Bernal-Carlo, Skye Burn, and Susan Bradbury, felt something calling them together to bring a possible answer to a world out of balance. 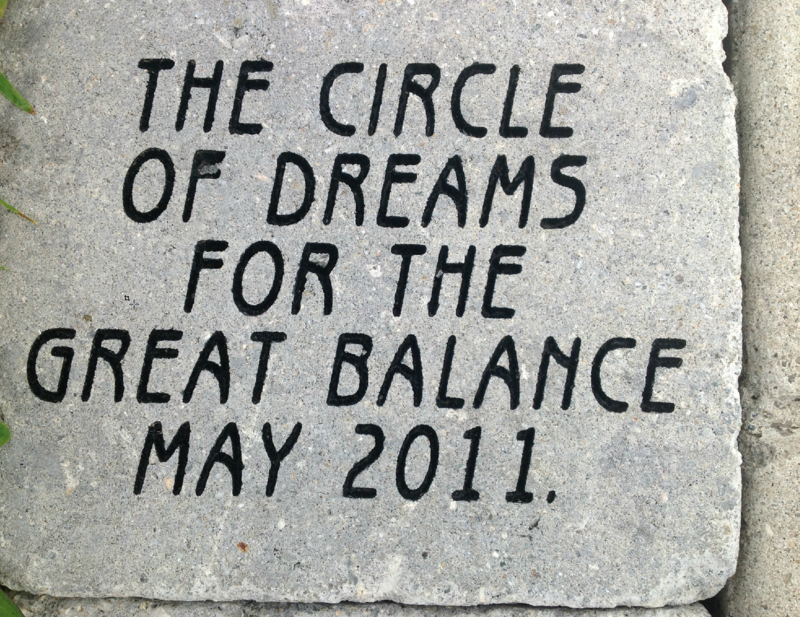 They called themselves the Circle of Dreams, and to mark the inception of their dreams of The Great Balance; they commissioned a paving stone inscribed with the words “Circle of Dreams for The Great Balance.,” It was permanently installed beneath the Teardrop sculpture in New York City (see picture). This act became the first grounding of the vision of The Great Balance into the physical world. One year later, The Great Balance Project expanded to include a much more extensive Circle of Dreams, organizing the First International Conference on Great Balance, an event held in Buenos Aires, Argentina in August 2011. About 80 dreamers from Argentina, Colombia, Holland, Russia and Brazil attended the conference. In January 2014, our journey seemed to be part of a more in-depth, spiritual design to integrate the wisdom and prophecies of all indigenous peoples with the rest of humanity. Mamo Dwawiku, a Shaman and priest of the Arhuaco Tribe from the Sierra Nevada de Santa Marta, The Heart of the World, in Colombia invited the members of The Great Balance to seed TGB in the spiritual world in the way of the Arhuaco tradition. Fifteen seeders are the spiritual guardians of The Great Balance. During the time of the Fall Equinox, Katherine Cross seeded The Great Balance into Mother Gaia on her sacred land in Montana. After three moon cycles culminating on Winter Solstice and the new moon, the seeding was anchored. A further grounding in 3rd-dimensional reality took place in March 2015 in New York City. This time, Amanda, Janis, Hamilton Hayes and Gloria Harrison met to create the mission, vision and purpose statements incorporating feedback from the members for officially registering The Great Balance as a non-profit corporation. The Great Balance is a multifaceted and multidisciplinary organization where the dreamers will contribute diverse projects from different areas to embrace our planet with peace, love, compassion, integrating the spiritual and practical work and service. 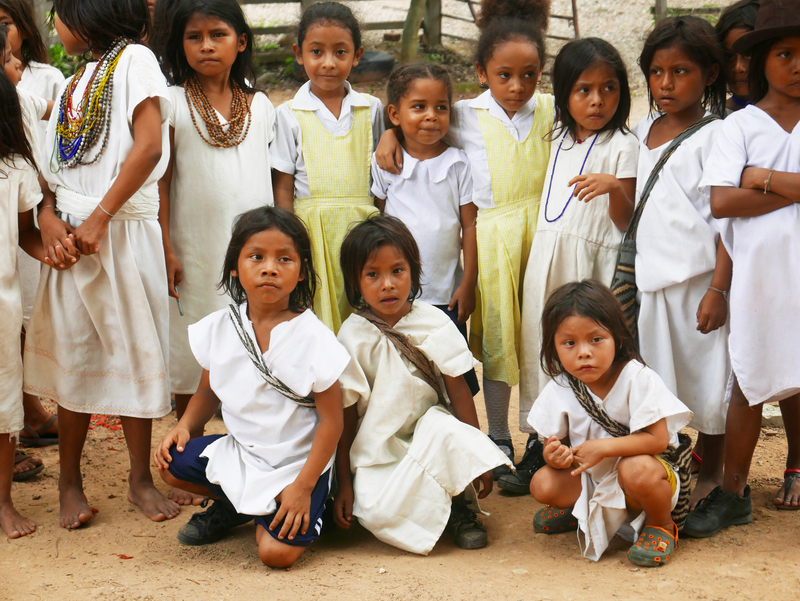 At the moment, the education project in the Sierra and the Women’s organization are initiatives run under the umbrella of The Great Balance. Following our dreams and listening to the needs of our members and friends, TGB submitted its first project for a seed grant in December 2015. The Pollination Project helped us to establish the initiative of One Million of Trees to care for the destroyed Watersheds of the Sierra Nevada de Santa Marta. A year later, in April 2017, we received a second grant to continue the Million Tree initiative from The Sisters of St. Francis. As of the end of 2017, a branch of The Great Balance has been established in Colombia. The Great Balance is also in the process of joining the Divine University in Australia for a project to help the Mamos of the SNSM in the Mission Of The Heart – Earth’s Restoration (MOTHER) project. This project aims to reclaim, restore and protect the sacred Arhuaco sites in the Sierra.